For those who aren't familiar with it, classic Japanese mech franchise Gundam has a series called Mobile Suit Gundam Unicorn. Sounds great, but the problem is, there aren't actually any unicorns in it. 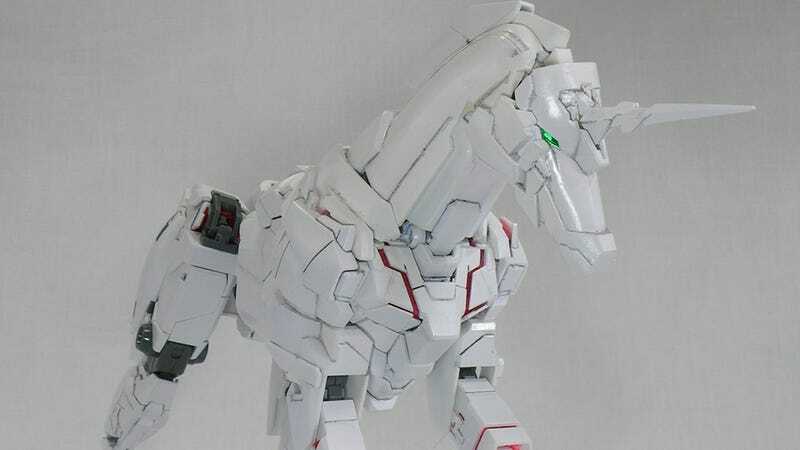 Japanese hobbyist crossneko has built himself a Gundam unicorn. Shame he couldn't find a space rainbow to go with it, but I'm not going to look a gift horse - or mechanical unicorn - in the mouth.